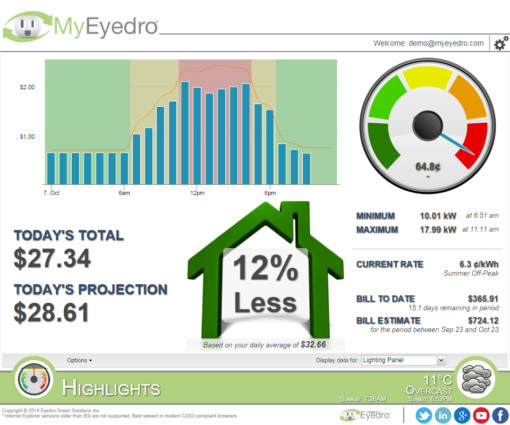 Combined with the MyEyedro cloud service, Eyedro electricity monitors provide timely and actionable information that will help you monitor usage, identify problems, reduce waste and ultimately spend less on electricity while working towards your companies social responsibility targets. 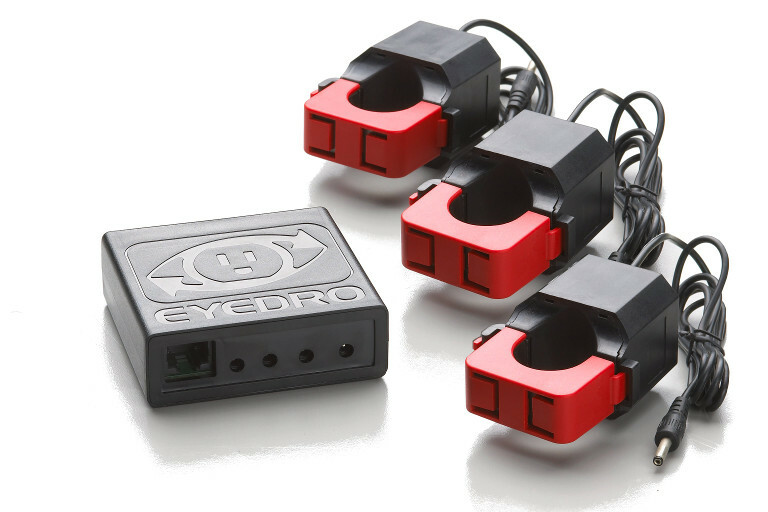 The Eyedro business electricity monitor, model EBEM1, is perfect for monitoring electricity consumption at the building service panel(s), sub-panel(s) or even at the equipment level. The sensors install in the electrical panel (up to 200A¹/600V), the module connects to a nearby internet connection (via the 10′ Ethernet cable provided) and the monitor immediately begins streaming data. 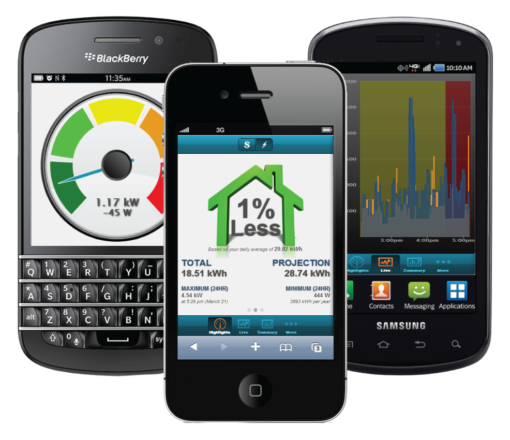 For applications where there is no internet connection nearby, the wireless model (EBWEM1) may be used.